June 20 is a Special Day of Prayer for Refugees. Please pray for Provincial Standing Committee to be held from 27-29 September 2017.
one God, now and always. Greetings in the name of the risen Christ! On behalf of the Secretariat of the Anglican Prayer Book Revision Sub-committee we trust that you are well and whole-heartedly commend you to God’s life-giving Spirit this season of Pentecost! As you know, parishes throughout ACSA were encouraged to make use of materials from Celebrating Sunday during Eastertide by identifying “trial use parishes” in which the new liturgies could be used. Hopefully you have been able to experiment with the new liturgy and the time has come to ask for your feedback. This will help the Prayer Book Revision Sub-committee, and others involved, move forward in continuing to shape the new liturgy. Below are two links to online surveys on the survey platform Survey Monkey. The first is a link to the “Rectors” survey and the second to the “Congregational” survey. 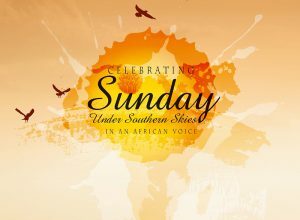 We would like to hear from everyone and anyone who used or had experience of Celebrating Sunday. The surveys will take a few minutes to complete and the data gathered will greatly assist the Prayer Book revision process. The survey wull close on 30 June 2017. Thank you for supporting this important work in the life of God’s Church.